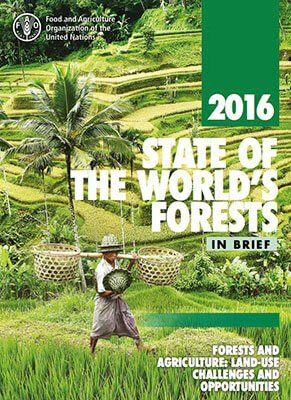 State of the World’s Forests (SOFO) 2016 shows that it is possible to increase agricultural productivity and food security while halting or even reversing deforestation, highlighting the successful efforts of Costa Rica, Chile, the Gambia, Georgia, Ghana, Tunisia and Viet Nam. Integrated land-use planning is the key to balancing land uses, underpinned by the right policy instruments to promote both sustainable forests and agriculture. Simon translated the 36 page “In Brief” report that can be viewed here.